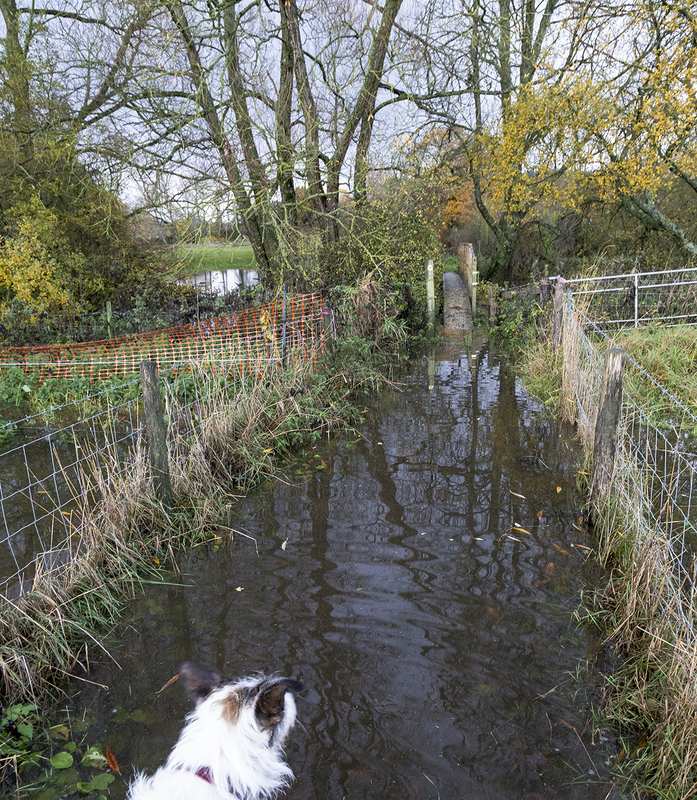 It’s getting colder and wetter and the leaves on the trees are more or less gone, the river Stour has been scoured out when it flooded over its banks last week with the heavy rain. I couldn’t get over to Bere Marsh one day as the path was flooded in between the two fields, but the river was soon back to normal for this time of year the next day. 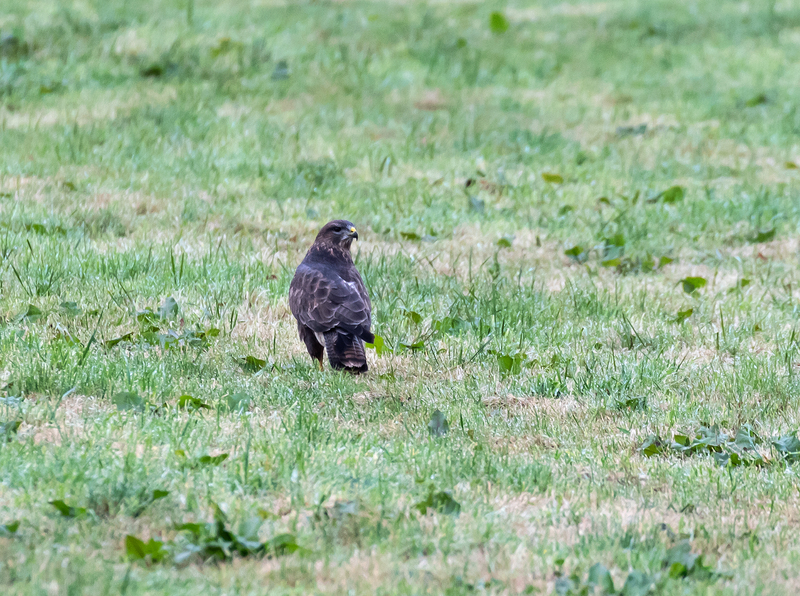 I had just returned from our walk one day this week when I noticed a large bird in the field at the bottom of our garden, it was very dark and for a minute I thought it was a Rook, but on second look I realised it was a Buzzard. We had seen one in the trees down the lane and I would think it was one and the same. It was busy, probably looking for worms and things in the field and didn’t seem to bothered when I took a picture of him. I think it may be a youngster from this year and learning to fend for himself. Another encounter was with a Bat one morning as I was walking down the field, I stopped to chat to a neighbour who was walking his dog, it must have been around 7 o’clock and half light, this Bat flew by and then came back and flew round our heads for quite some time, perhaps the dogs had disturbed some insect life. I’ve heard a Tawny Owl near Rectory Lane in the village when I’ve been out early but only the one, last year there seemed to be plenty about hopefully I’m just not in the right place at the right time. Now on to the highlight of my week! Spotting and taking photos of a Weasel. Although not rare the are notoriously quick, not easily spotted and almost impossible to photograph. I was walking along the North Dorset Trailway with Tilly around dawn at 7.30am, near Shillingstone station when I spotted the Weasel crossing the path just in front of us. 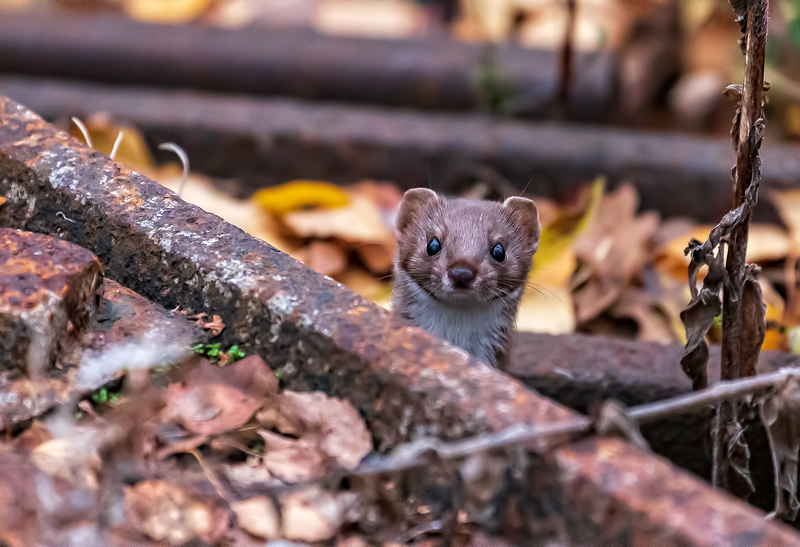 I expected it to have disappeared by the time we got close to it but Tilly told me otherwise I looked to where she was looking which happened to be the railway track and the Weasel was going under the tracks and then popping up to take a look at us! I have my camera on a setting ready for wildlife as I can always alter it for landscape which isn’t quite so instant. I was that excited that the first two images were out of focus. I was thinking I was going to say I nearly got an image but still it kept popping up looking at us, so I calmed down and took some more pictures concentrating focussing on it’s eyes. I couldn’t wait to get home to have a look and I was pleased to have a couple of acceptable images thanks to Tilly and my camera for coping with the low light. To think I nearly didn’t take my camera because it was really dull, but I’m so glad I did!